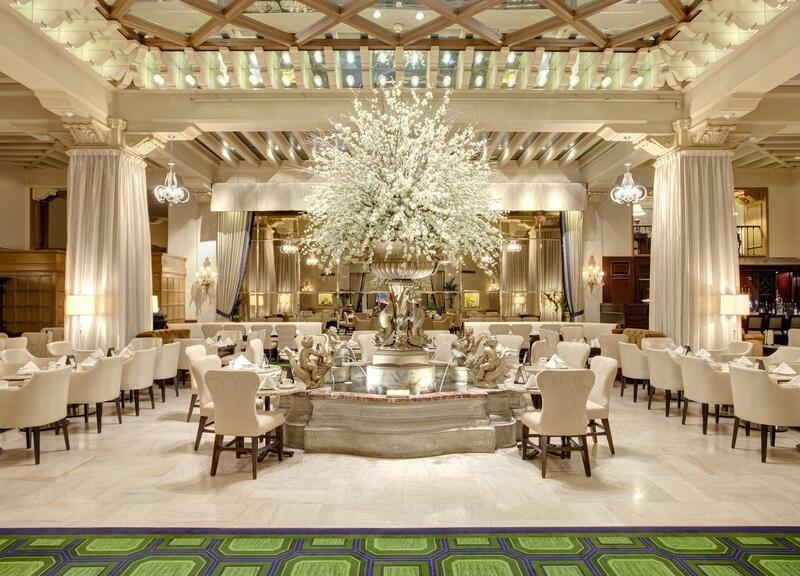 Learn the fascinating history behind some of Chicago&apos;s leading hotels. Chicago is a city that’s rich in history. So, it’s no surprise that many of its hotels have stories of their own to tell. Book a stay at a historic Chicago hotel and you might find that you’re sipping cocktails in a ballroom where Judy Garland once performed or dining on dishes inspired by 1890s menu items. We’ve rounded up some of the top historic Chicago hotels to help you begin exploring. The Palmer House is celebrating 145 years in 2017, making it the longest continuously operating hotel in America. The Loop hotel was established by Chicago business magnate Potter Palmer as an extravagant wedding gift to his wife, Bertha. Over the years the grand hotel attracted guests that included U.S. presidents and luminaries like Charles Dickens. Frank Sinatra and Judy Garland once performed in its famed Empire Room, and the brownie was invented here during the World’s Columbian Exposition. Plan a combination luncheon and history lesson with the award-winning History is Hott!! tour of the Palmer House with resident historian Ken Price to learn more fascinating facts about the hotel. Located on The Magnificent Mile, The Drake Hotel is celebrating its 96th anniversary in 2017, and is a member of the Historic Hotels of America®, the official program of the National Trust for Historic Preservation. The opulent hotel opened on New Year’s Eve in 1920 as the nation’s first urban resort, the brainchild of brothers John and Tracy Drake. 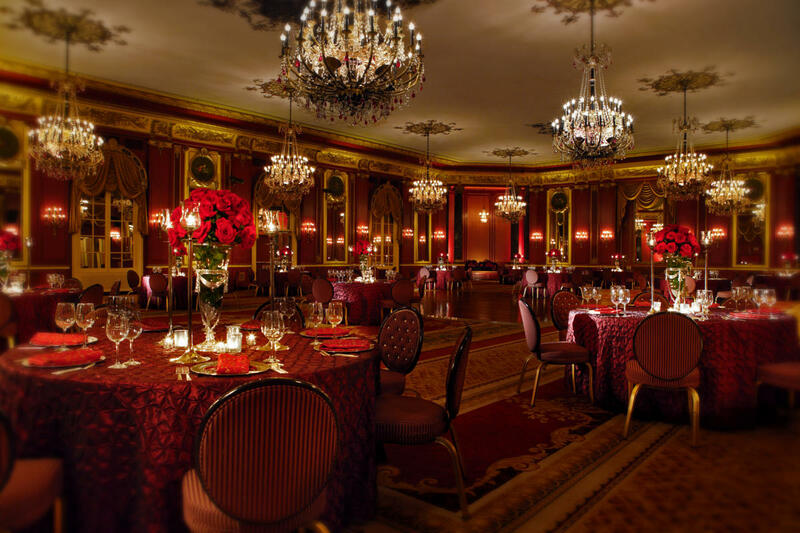 Icons such as Walt Disney and Charles Lindbergh were known to sip cocktails in The Gold Coast Room while listening to live music. 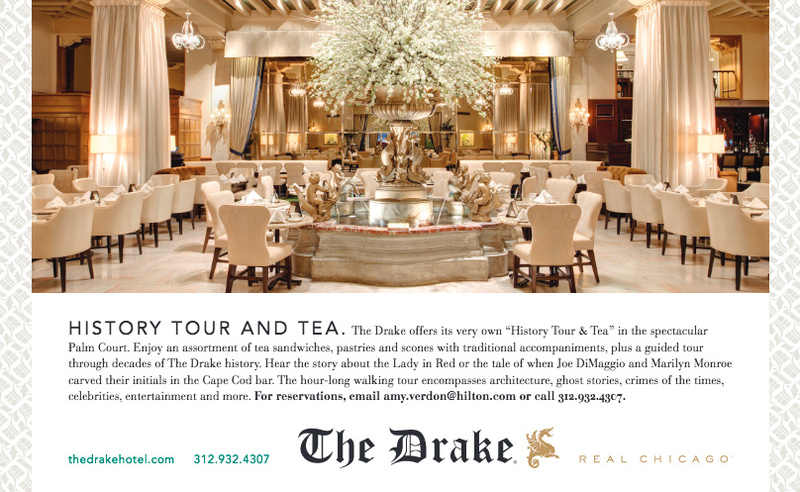 Take the History Tour & Tea, which includes a hotel walking tour and tales of The Drake recounted during traditional Afternoon Tea (complete with tea sandwiches, pastries and scones) in the stunning Palm Court. This magnificent hotel was constructed in 1929 as the Medinah Athletic Club, an exclusive men’s club for members of the Shrine organization. In 1988, InterContinental Hotels purchased the building and spent 12 years and a quarter of a billion dollars converting it to a luxurious hotel. 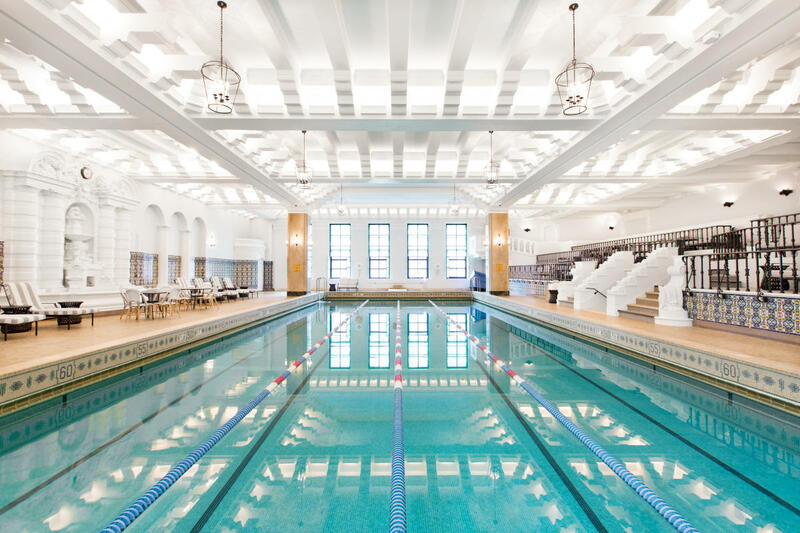 InterContinental took great pains to restore the building’s historic features, down to the detailing in carpets and murals, using the Medinah Athletic Club’s 1930s yearbook as a guide. Today, guests will notice exquisite original details, such as the cast-bronze friezes along the handrail of the lobby’s stunning staircase, two marble lions that guard the Hall of Lions and the lush tile swimming pool surrounded by sculptures. This hotel is housed within one of Chicago’s most historically significant buildings, which was built in the 1890s as a private men’s club. The hotel painstakingly restored handsome details that were uncovered during renovation of the Venetian Gothic-style building, such as the unique plaster stalactite light fixtures in the White City Ballroom, stained glass windows, elaborate wood carvings and floor-to-ceiling fireplaces. The CAA’s refurbished Cherry Circle Room restaurant is now a James Beard Award-winning space that features dishes inspired by menu items from the club’s early days. Famous original club members include William Wrigley, who repurposed the CAA logo for his Chicago Cubs baseball team (still on display in the Game Room) and Olympic swimmer and future Tarzan actor Johnny Weissmuller, who was a member of the club’s swim team. This Loop hotel is housed in one of Chicago’s early skyscrapers, designed by iconic Chicago architecture firm Burnham and Root. 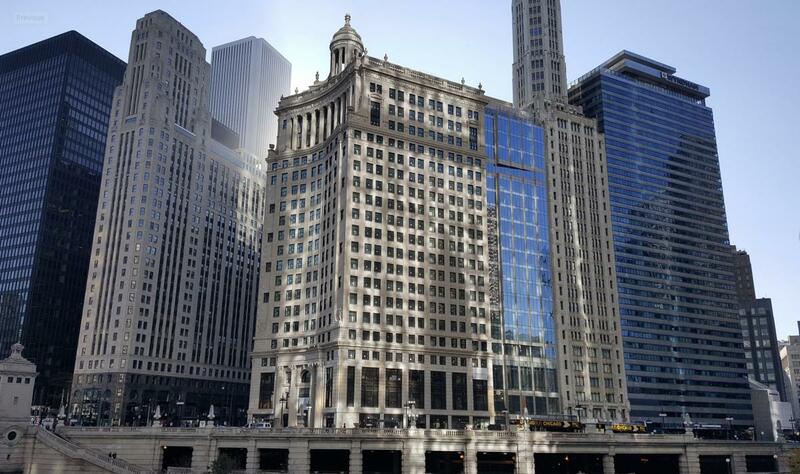 Originally developed as the Reliance Building, this National Historic Landmark was built in 1895. The steel-and-glass marvel was an innovator due to features such as large glass windows that allowed light to stream into the office spaces, white terra-cotta cladding and its relatively lightweight steel frame construction. Atwood, the hotel’s restaurant, is named for architect Charles Atwood, who designed the building’s upper floors upon the untimely death of John Wellborn Root. 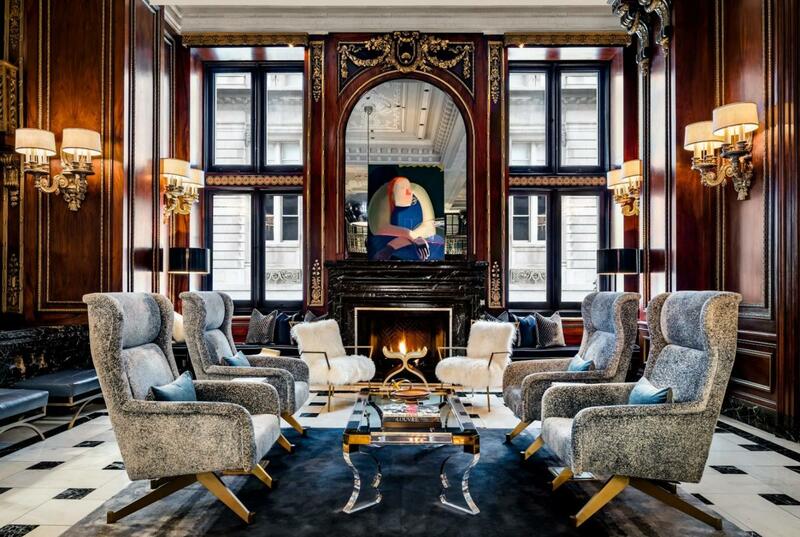 Dating back to 1910, The Blackstone was designed by Chicago architects Marshall & Fox, who were inspired by a trip to Paris. The ornate hotel opened with much fanfare, with opera legend Enrico Caruso performing at the opening ceremony. Although gangster Al Capone was known to hold meetings in the hotel’s windowless barber shop while he had his hair cut, The Blackstone became more famously known as the hotel of presidents. Over the years the Loop hotel has hosted more than a dozen U.S. presidents, including Harry S. Truman (who was known to play the lobby piano), John F. Kennedy (who learned of the Cuban missile crisis while dining in the Suite of Presidents) and Dwight D. Eisenhower (who watched his televised nomination for president at the hotel). This boutique Loop hotel is located in the former 1894 New York Life Insurance office building, and is named for the preserved Georgia Gray marble found throughout. The name of the hotel’s Vol. 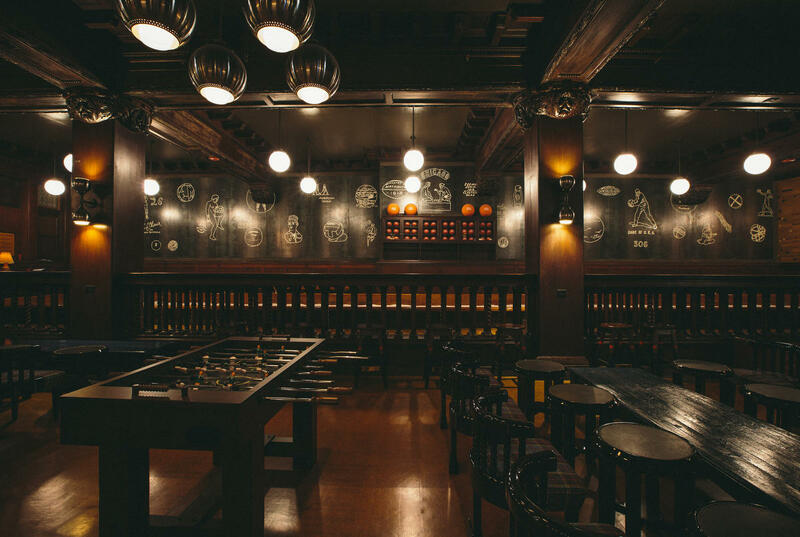 39 bar was inspired by the treasure trove of antique law books that were unearthed when the building was being renovated. 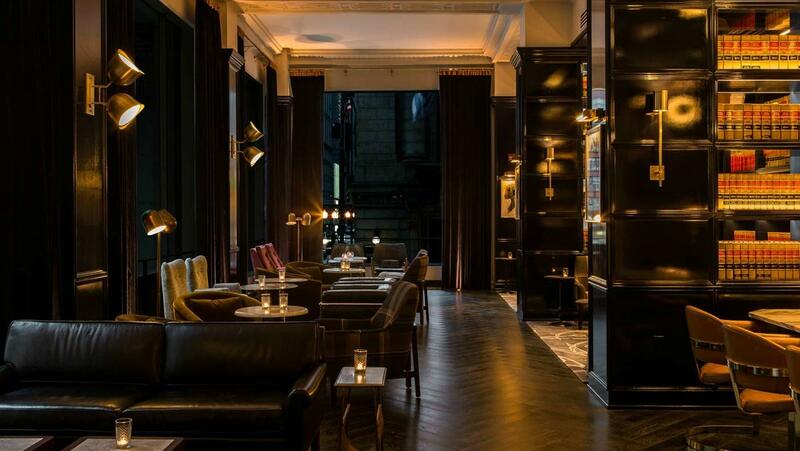 Today these tomes are used as decorative accents in this bar that evokes the feeling of a 1940s-era smoking lounge, with tufted leather couches and hues of cognac and charcoal. Consulting a library of rare spirits, head bartender Jess Lambert creates mid-century-inspired cocktails here (her signature is the Old Fashioned). This hotel began life as the London Guarantee and Accident Building in 1923. Designed by architect Alfred S. Alschuler in the Beaux Arts style, the building was considered to be one of the “big four” skyscrapers on the Chicago River near Michigan Avenue at the time. Over the years the building’s tenants changed, at one time becoming home of WLS-AM studios where the legendary Paul Harvey broadcast his radio show from the fourth floor. From the 1950s through the early 1970s it was the location of The London House jazz supper club, where big names such as Sarah Vaughan and Ramsey Lewis performed. Drink in a bit of history at the hotel’s tri-level rooftop LH, where you can dine in the striking Cupola that crowns the building.